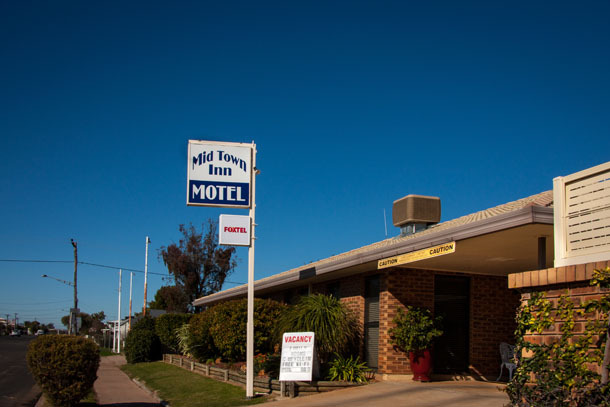 A: Yes, all rooms at Mid Town Inn Motel are non-smoking. A: Yes, for breakfast. We have charge back facilities available for dinner at local restaurants. A: Yes and this is free. A: We are within 200-300mts to the centre of town. A: We are within walking distance of most restaurants. Mcdonalds, KFC, Dominos pizza and Subway are only 2mins away. A: No but gym facilities are close by 2mins away.